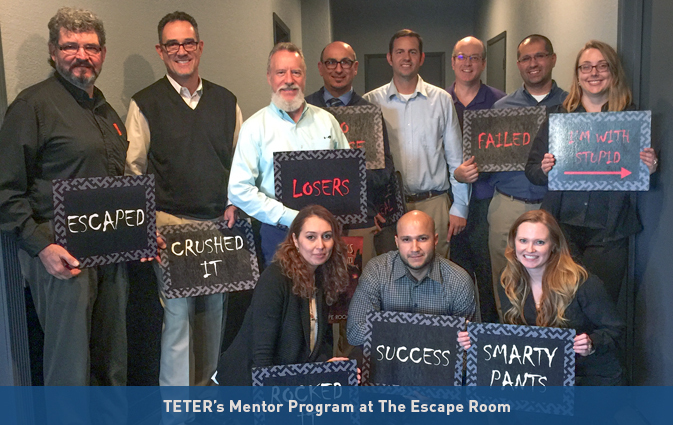 TETER’s Mentor Program held their first group activity at the Escape Room! As part of the Mentor Program, mentors and their protégés participate in group activities that are focused on team building. The goals are to: build relationships, learn each other’s strengths and restraints, and share knowledge. 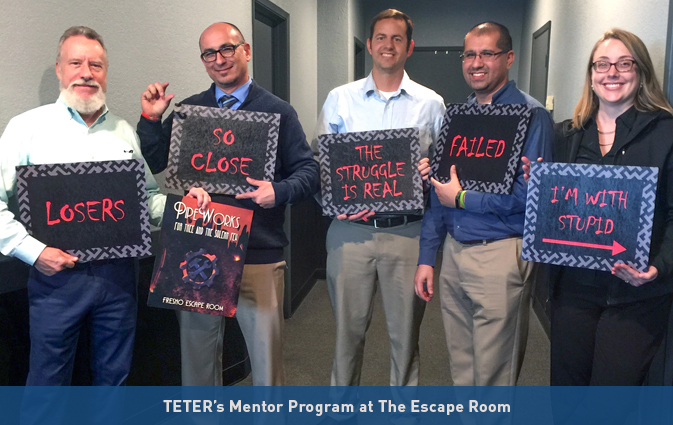 The Escape Room group activity was specifically aimed towards working as a team under high pressure situations. After the game, each team debriefed the others and shared their experience and what they learned about each other.